Data Strategy has reported that the first QC-Check workstation delivered to White Light Ltd (WL), incorporating the Out Board PAT-4 tester, is now fully employed in testing distros, power cables and electrical appliances. Furthermore, integration with inspHire, WL’s comprehensive rental software, has been completed providing a live update of the hire stock’s status. The deal between White Light and Data Strategy was announced earlier this year. 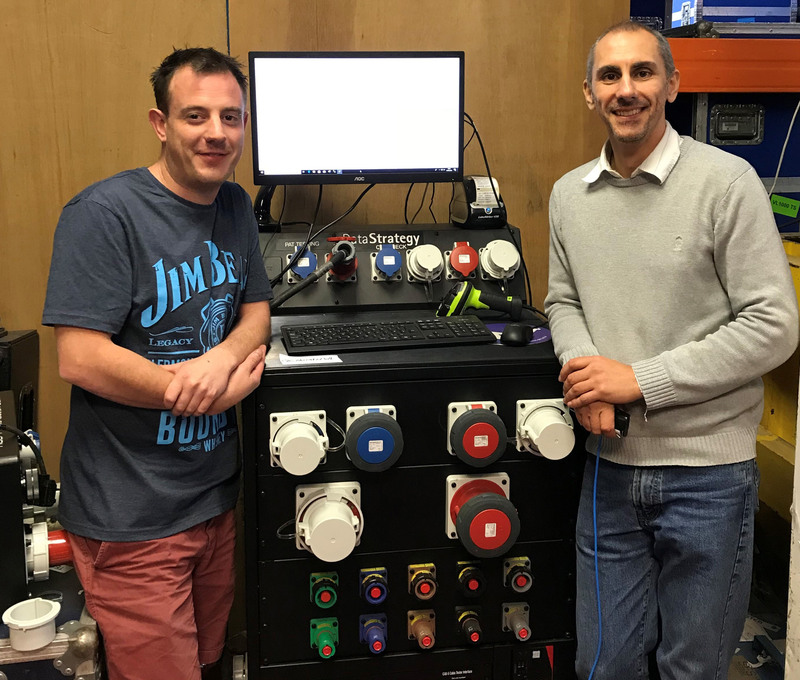 WL’s operational business systems manager, Jamie Wells and Quality manager, Paul Talbot, with the fully integrated 660 QC-Check workstation. A second notable announcement is the availability of an update for the QC-Check application that adds a significant new feature – multiple ‘inspection sets’. This enhancement to the EUT (Equipment Under Test) test definitions allows QC-Check to intelligently schedule the testing of equipment by defining additional sets of inspection parameters. Additional inspection sets can be added to an existing test definition that provide a different set of inspection requirements with different periods of occurrence.